Each month, Ananth (a.k.a Rango) and I will hit up a local restaurant and write about one specific dish. Once the plate reaches the table, there’s absolutely no talking about it or any facial expressions. We go home, write separate reviews, and post them right here. 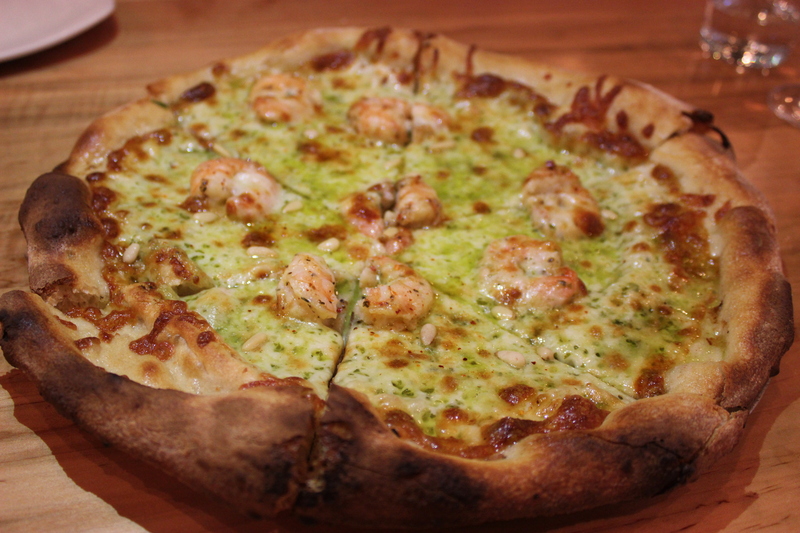 For our inaugural entry, we decided to check out Raduno Brick Oven and Barroom for a Shrimp & Pine Nut Pizza. If you have the opportunity to break bread with TMR, with his beautiful shiny head and perfectly groomed beard, I highly recommend the experience. 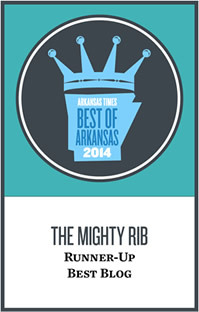 If you’re looking for a good, brick oven pizza in Little Rock, Raduno is a great choice. There are more than a few options in Little Rock, but in my book, Raduno is a notch above the rest. They always manage to get the perfect amount of delicious charring along the entire pizza, and especially along the crust. Raduno puts out very thin crust pizza, but unlike many of their competitors, Raduno’s slices don’t fall completely limp when you pick them up (nobody likes a completely limp slice). At the same time, they aren’t overly crispy. The toppings on this pizza were on point. The shrimp was perfectly cooked, not rubbery or tough at all, which is feat in itself. The pesto paired perfectly with the shrimp, and the pine nuts were a nice touch. I’m a pretty basic guy when it comes to pizza, so this was definitely not what I would typically order. That being said, this was a pretty unique and tasty pizza. Par for the course at Raduno. Many of you might be wondering, “Why on earth would someone order a Shrimp & Pine Nut Pizza?” Truth be told, I think both of us wanted to write about something a little unique and this pizza definitely fit the bill. It included marinated shrimp, toasted pine nuts, mozzarella, and pesto cream sauce, and while the toppings were a hit, the real issue I had with this pizza was the crust. It was soft and limp in the interior and way too crispy on the edges. Part of me wanted to fold each slice like it was a miniature piece of NY-style pizza, but the overcooked edges prohibited such an act. The best part of this pizza was the shrimp. Before ordering, I was a little skeptical if we’d be getting tough, rubbery, nickel-sized shrimp, but this was definitely not the case. They were tender and plump and paired fairly well with the other toppings. That said, the pizza got a little oily and a tad salty for my preference. Am I glad we tried this pizza? Yes. Would I order it again? No.